Want to see more from HSL? One of our new year’s resolutions for 2019 is to make more time for podcasts, curriculum plans, unit studies, blog posts, and other great HSL stuff, and as part of that effort, we've launched a Patreon. Win the Ultimate Homeschool Planning Package! Tagged: giveaway, The A+ Homeschool Planner, homeschool planning, Win the Ultimate Homeschool Planning Package! Now this is a New Year's resolution we can get behind: Read more in 2018 with the HSL homeschool reading challenge. What’s in the Fall Issue of HSL? Our update list of best cities for homeschoolers, how to make sure your science curriculum is secular, a few reasons to love Thurgood Marshall, and more great stuff you can find in the fall issue of home/school/life. A while back, we reviewed a curriculum called Sassafras Science in the magazine. Our curriculum reviewer was so excited about it—and who could blame her? It sounded awesome: Science built around storytelling, with a narrative that introduces key science concepts through the adventures of the story’s main characters. 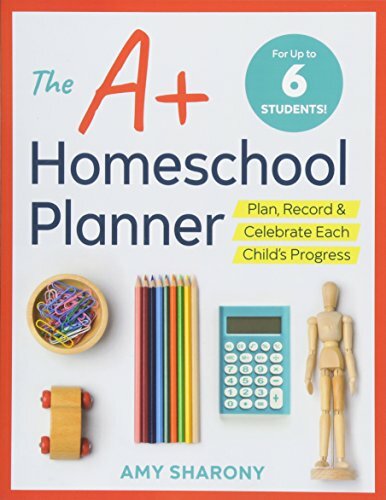 Our reviewer enjoyed it, her kids loved it, and it seemed like a great program for secular homeschoolers to check out. Except, as it turns out, it isn’t secular. One of our missions here at home/school/life is to connect our readers with the very best secular homeschool resources. Sometimes, that isn’t as easy as it sounds—particularly with science materials. In this case, HSL recommended a science program that describes itself as neutral science. (“Neutral science” is a weird term that’s being used in homeschool circles to describe science that gives religious philosophy equal space with objective data, implying—problematically—that both have equal scientific value.) The volume our reviewer looked at didn't raise any red flags for her, and her review didn't raise any red flags for me. But that’s the problem: Non-secular science isn’t always immediately recognizable, but it’s our job to dig deeper. In this case, I didn’t dig deep enough. It’s my error, and I’m sorry. In the fall issue, we’ll be discussing ways we can all recognize non-secular science when it’s not clearly identified as such—something that will help all of us find the resources we want. And here at home/school/life, we’ll continue to focus exclusively on secular resources and to apologize when we get it wrong. The votes have been counted, the results are in, and SPENDING ALL DAY IN YOUR PAJAMAS has been voted THE MOST HOMESCHOOLERY THING EVER! It's all come down to this! All March we've been voting for THE MOST HOMESCHOOLERY THING ever, starting with sixteen contenders. Week by week, being on a first name basis with your librarian, carschooling, not being able to eat at your dining room table because it's covered in book, and more fell off the list as you cast your votes. In the final four, "spending all day in your pajamas" barely edged out "going on a field trip and complaining about all the school groups there" by a scant few votes, while "having your kid's big wish be to someday ride a school bus" beat out "deciding that you're done for the day around noon" by a single vote. Now, it's in your hands—what's THE MOST HOMESCHOOLERY THING EVER? What's the Most Homeschoolery Thing Ever? Cast your vote through FRIDAY, MARCH 31. It’s time to battle it out! We nominated 16 entries to compete for the title, and now we're down to the FINAL FOUR. Which will take the title of THE MOST HOMESCHOOLERY THING EVER? Cast your vote to decide! Cast your votes for the third round from March 17th through March 23rd. The final two will be announced on March 24th, after which one last vote will decide THE MOST HOMESCHOOLERY THING EVER! Voting for Round 3 is open until March 23. The votes are in! Some brackets saw clear winners (we're all closer to our neighborhood librarians than to the folks at B&N, and we really love being done for the day by noon), while others were neck-and-neck right up until the end (Watching The Amazing Race for Geography inched out reading HSL by two votes). It’s time to battle it out! We have nominated 16 entries to compete for the title. Cast your votes for ROUND TWO from March 10th to March 16th, leading us to the third round March 17th through March 23rd. The final two will be announced on March 24th, after which one last vote will decide THE MOST HOMESCHOOLERY THING EVER! Voting for Round 2 is open until March 16. It’s time to battle it out! We have nominated 16 entries to compete for the title. Cast your votes for the first round March 5rd to March 9th. Second round voting will be from March 10th to March 16th, leading us to the third round March 17th through March 23rd. The final two will be announced on March 24th, after which one last vote will decide THE MOST HOMESCHOOLERY THING EVER! Voting for Round 1 is open until March 9. This summer, Suzanne had the brilliant idea to start a home | school | life podcast, where we could talk about the big homeschooling questions: What does our decision to homeschool say about us as educated, intelligent women? How do you know when to push a kid to do something she hates and when to put a pin it? What is the weird obsession the world has with whether homeschoolers are socialized? Plus a podcast would give us another place to obsess over what we’re reading, what we wish we were reading, what our kids are reading, and what we wish we’d never, ever read. We recorded our first episode at the end of May, and we’ve been putting out a new episode every fortnight(-ish) since. 1. Suzanne and I do everything about homeschooling really differently—except for being neurotic about overthinking everything and feeling guilty every couple of days. We both do that. Maybe we all do that? 2. We have read some terrific books so far, including an Anthony Trollope-ish novel about very class-conscious dragons with Victorian manners, an apocalyptic thriller in which a scientist and a witch are working—sometimes together, sometimes against each other—to save the world, and a piece of E. Nesbit fan fiction that’s really pretty charming. 4. You love the magazine but sometimes wonder “Who are these people anyway?” You can learn a lot about our everyday homeschool lives—including Amy’s family’s “absolutely no spitting ever” rule, Suzanne’s morning routine, how we handle sick days, and lots more—on the podcast. 5. You don’t have anyone to obsess with over things like whether you should be worried about teaching calculus or how you’re going to cope with the fact that high school has completely thrown your daughter’s social circle for a loop. Obsess with us! We have obsession to spare. It’s my pleasure to announce a new service here at home/school/life, and it’s free for anyone who would like to sign up. If you were a fan of Amy’s “Monday Pep Talks,” you’ll definitely want to sign up. Once a quarter (between the magazine issues), we’re going to send out the Pep Talks by e-mail. But this will be an ultra-pep talk like this one: click here. Pep talks are full of inspiring things to do, delicious food to cook, book recommendations and other inspiration to rev your engines and put spice into your homeschool life. We will also fill you in on some of the best blog posts from the last quarter and let you know what else is happening around here on home/school/life. And don’t worry, we absolutely promise we won’t spam you, sell your e-mail address, or send out a pep talk more than four times a year. How can you sign up? Well, if you had signed up for our former monthly newsletter (which has been on permanent hiatus for awhile), you don’t need to do anything. You’re already signed up for the Pep Talk! If you don’t want to receive the Pep Talk, there will be an unsubscribe option at the bottom of each e-mail, or you can e-mail Shelli and ask her to remove your address from the list. As always, thank you for supporting home/school/life! We couldn’t continue to expand without our faithful readers. We’ve been so busy this summer, I thought it might be a good idea to round up all the cool things that have been happening here at home | school | life into one post, in case you’ve missed anything while you were busy with your own summer adventures. We have a podcast! (It was Suzanne’s idea.) The Podcast with Suzanne and Amy is a fortnightly podcast about the places where home, school, and life intersect, plus lots and lots of book talk. We’ve recorded five episodes so far; you can listen to them here or on iTunes. And speaking of community, we’re pretty thrilled to introduce home | school | life reads, a middle grades book club led by our resident Book Nerd Suzanne Rezelman with optional weekly assignments and a monthly online meeting. We’re kicking things off with The Westing Game as our September read—you should join us! We’re making a small change to our group subscriptions deal: You can still get a subscription to home | school | life magazine for $10 per person when you subscribe with a group of at least 20 people, but we’ll only be offering the group subscription option in September and January. We’re also in the process of updating our Best Cities for Homeschool Families list for 2017—and we’d love your input. Nominate your favorite homeschool city here. And, of course, we're also hard at work on the most important thing we do here at home | school | life: We're well into work on the fall issue of HSL and look forward to sharing it with our awesome readers in October. Minding Our Business: "Why Don’t You Have a Print Edition?" Now that the summer issue is out (hooray! ), I look forward to the email that starts to trickle in from readers, telling us what articles you loved and what ideas inspired you. (Please never stop sending this email.) The truth is, I look forward to reading the finished issue every season, too! If you’re a subscriber, you can skip this and just go read the summer issue yourself, but if you’re interested, these stories were some of my summer issue highlights. Working on the summer reading guide is one of those gigantic projects that I look forward to all year. (“Sorry kids, I’m reading for work!”) I loved working on every part of it, but finding readalikes for Anne of Green Gables and The Fault in Our Stars was especially fun. Patricia’s column about her nearly two decades of park days with her homeschool group made me cry. In the good way. But also kind of in the envious way because I really wish I had that kind of group in my homeschool life. We had so much fun doing our first homeschool makeover—helping Jenn and Ian shift gears to make their homeschool less school-y while still keeping up with their academic goals. You know how when your kid gets really excited about something, and you’re trying to figure out how much you should do to encourage that excitement—where do you draw the line between supportive and pushy? Shelli has some great thoughts on how she’s found a balance through her son’s passion for birds. I always want to steal Amy’s art project ideas, but now I really want to steal her relaxed attitude about teaching art, too. This issue features an article by our youngest contributor ever: the talented 10-year-old Catie Burrell, who has Opinions about what musicals should be in your movie marathon. I learned SO MUCH working on our summer boot camp feature for this issue, which is all about things you can do right now to make homeschooling this fall so much more fun. I am probably not going to be taking a sabbatical any time soon, but I am definitely adding more rituals to anchor our days. We got to answer that question that plagues so many homeschoolers: How can an always-homeschooled kid get into college? It’s made me pretty excited about summer! 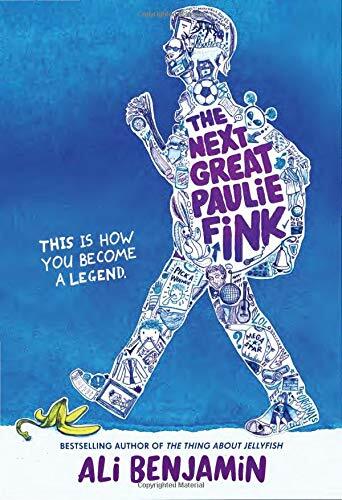 Now that the summer deadline is behind me, I’m looking forward to planning next year’s science classes, having a Roald Dahl-inspired readathon, using Star Trek to study politics, cleaning out the clutter in my homeschool space, and reading lots and lots of books by the pool. I hope it gets you excited, too! There's so much good stuff in the winter issue that we thought we'd share a little sampling here. To read the rest (including a step-by-step guide to creating your own curriculum, awesome columns on art, science, Waldorf materials, and kids who love games, tons of book recommendations, and some of our favorite tools for getting organized), subscribe! :) Click to enlarge. If you don't see the sampler, try refreshing your page.